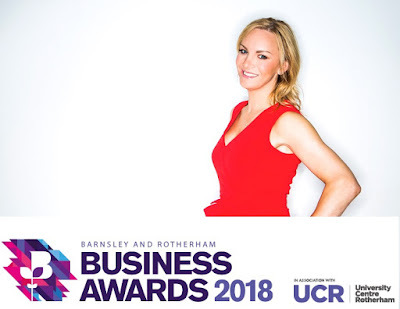 Barnsley and Rotherham's annual Business Awards ceremony will be hosted by award winning TV and radio broadcaster Stephanie Hirst. Now in its ninth year, the awards are one of the most prestigious ceremonies to take place within South Yorkshire, celebrating the achievements, milestones and successes of businesses based within the region. This year, the event will again take place at Magna in Rotherham, on Friday, October 19. Best known as the host of Hirsty's Daily Dose on Capital FM; a role which she held for eleven years. Stephanie started her career in radio aged just 12 years old and throughout her career secured her place as one of the most well-known and well-loved voices of radio in Yorkshire, Stephanie enjoyed a radio career which saw her host some of the biggest radio shows in the UK, such as the Sunday top 40 chart show "Hit40UK." Now a proactive LGBTQ supporter, Stephanie regularly hosts talks and Q&A's in regards to gender and the broadcasting industry and has recently joined BBC Radio Leeds where she hosts "The Stephanie Hirst Show" every weekday from 9am to midday. Stephanie Hirst said: "It's a great honour to host these prestigious awards. Along with being born and bred in South Yorkshire, it's so wonderful to see so many thriving businesses in our area and to be able to reward them for the commitment they make to the local business landscape." Andrew Denniff, Chief Executive, Barnsley & Rotherham Chamber of Commerce said: "As the voice of South Yorkshire, Stephanie is very well known throughout the region and we're looking forward to providing a warm welcome when she takes to the stage to announce the winners of this year's awards. "For businesses who want to celebrate their success over the past year, now is the time to start thinking about entering this year's awards. Businesses who are interested can find out more information via our website, which also contains some useful hints and tips for writing your entry." University Centre Rotherham (UCR) has also been announced as the headline sponsor for the awards. Jana Checkley, director for Higher Education and Skills for the RNN Group, said: "UCR is a very exciting development for Rotherham and the local area and will provide many benefits to local people, businesses and the economy in general. It's fitting that UCR will headline the Business Awards, as we hope to work with many employers to shape the provision we offer in order to develop people with the higher technical skills needed to bridge the skills gap. "By 2020, 50 courses will be running at UCR, with 1,000 additional students in our first five years. UCR will offer students access to expert teaching, degrees accredited by top universities and excellent links with industry." Entries for the 2018 Business Awards open on Monday June 4 and will see thirteen awards up for grabs.